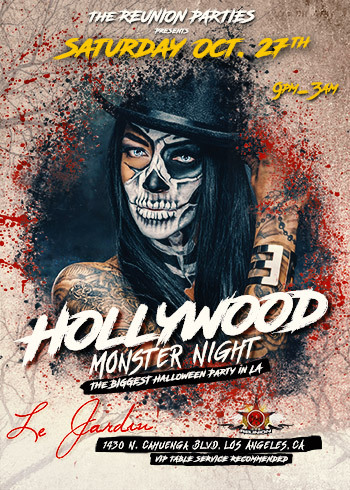 By popular demand, for this glamorous Halloween event we chose Hollywood's hottest A-List venue! Le Jardin evokes a contemporary rendition of the renaissance. Tucked away in the heart of Hollywood is the hottest hideaway in Los Angeles for A-listers, socialites and tastemakers. 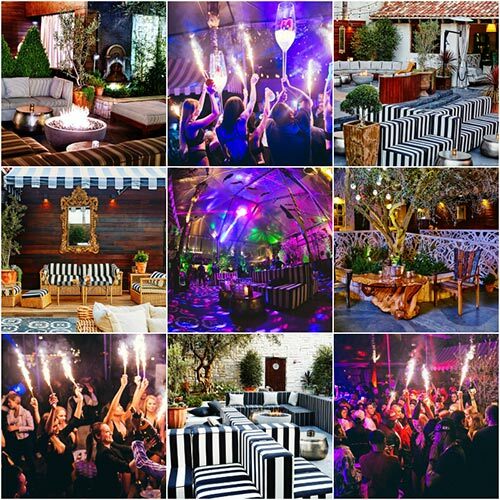 Leading the way for today’s day and nighttime entertainment, Le Jardin is Hollywood’s most exclusive hot spot. An open dance floor is surrounded by two full-service bars where chic mixology is orchestrated with precision. The Energy of the space is ignited by state-of-the-art sound and lighting systems, while secluded alcoves and lounge retreats boast vintage sofas finished with aged leather and velvet. As always, we guarantee an unbelievable Halloween mega party with a beautiful crowd, amazing costume contests, phenomenal DJ lineup, and an experience that will be talked about for years to come. Everybody will be there! Get ready Hollywood, because the most anticipated night of the year is here! The Reunion Parties is out on a tear to put on the biggest, sexiest, and the hottest Halloween party in the city. For over 19 years, our Halloween parties have been unmatched, and this year will be no different!